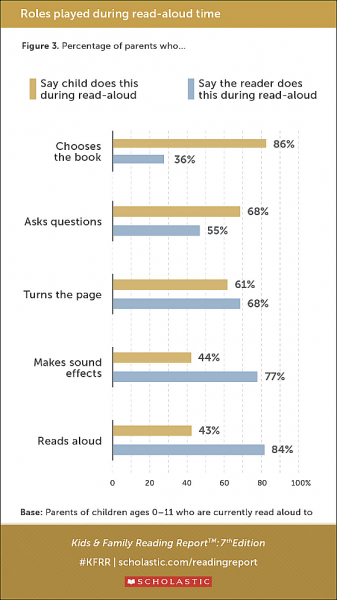 Scholastic’s biennial family-reading study finds American families are reading aloud to their children more often, but falling fast as children start reading for themselves. The seventh edition of the biennial Kids & Family Reading Report from Scholastic was released at the end of last week and compiles the result of a survey on reading habits of American families. With a focus two years ago on diversity issues, as Publishing Perspectives reported, this edition reports good news about the effects of reading aloud to children. Reading aloud is important, and it’s on the rise since the study started looking for it in 2014. But reading aloud peaks at age 5 and falls off precipitously after ages 6 to 8. 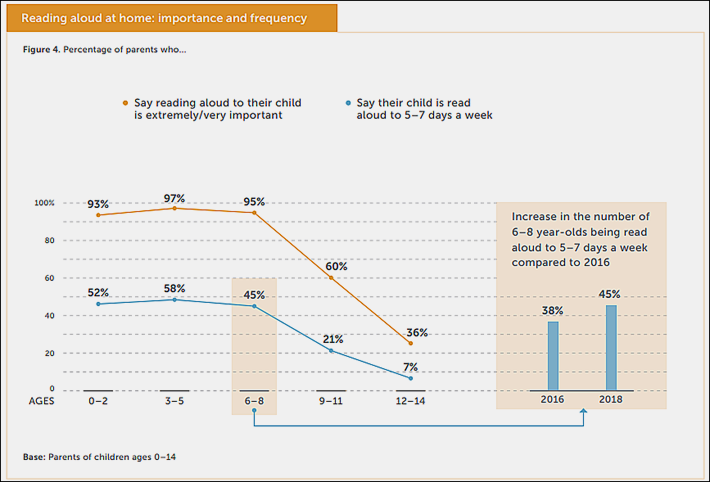 Parents say they stop or decrease reading aloud because children can read on their own. The quickest version: Read aloud more to children’s, and keep doing it, even after they can read for themselves. What relation may this have to reading—and publishers’ fortunes—among adults? That’s not what Scholastic is here to tell us. But bear in mind the fact that the one dependably growing format sector of the book publishing industry’s array in recent years has been audiobooks. The latest StatShot report we have from the Association of American Publishers is for November and it showed that audiobook sales had jumped a formidable 37.1 percent in a year-over-year comparison of January to November 2017 and 2018. And audiobooks, of course, are a form of reading aloud, primarily to adults. Granted, there are concerns that so much audio may be training consumers to listen and not read. But while the Scholastic study looks only at children and their experience of being read to in the family, it’s possible that the experience of being read to may be something we don’t “grow out of” as surely as might have been thought. Pam Allyn is Scholastic Education’s senior vice president in innovation and development. She’s also the children’s books executive who, after visiting the poverty-stricken Kibera area of Nairobi, helped develop the LitWorld literacy charity’s programs. That’s the organization that on Friday (February 1) will be staging the 10th anniversary of World Read Aloud Day—that link offers a full packet of information, registration for your participation, and a recommended reading list for creating read-alouds. 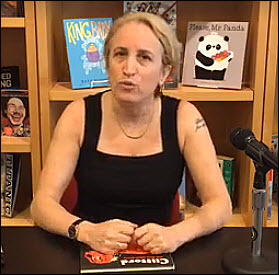 Allyn, on Thursday (January 24) posted an article at Scholastic’s “On Our Minds” blog site, in which she looks at the results of the new study and makes a special call for men to participate in reading aloud in the family, something championed in the UK by such campaigns as Fathers Reading Every Day from the Fatherhood Institute. “It’s undeniable that it is hard to fit everything needed to raise a child into a single day, or even week. But I urge you, parents, grandparents, caregivers and educators, to look closely at this powerful data and to see the opportunities that will open up for the child in your life. 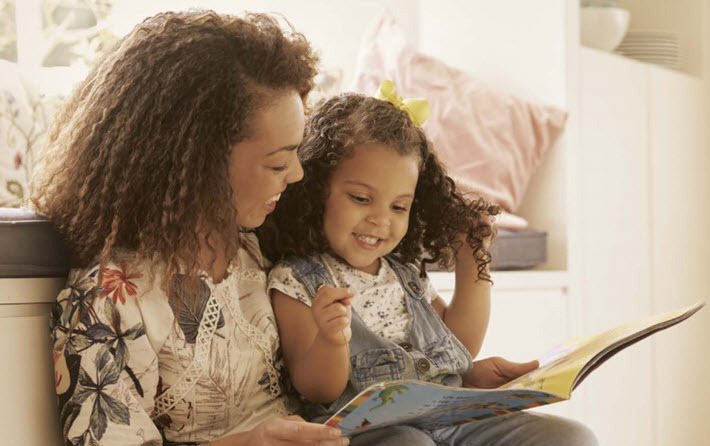 “Parents tell us they are incorporating read-aloud moments into routines, using them at impromptu times throughout the day, reading aloud to foster quiet time or as a part of an already boisterous playtime. “And while the study shows that it is still the mother who reads aloud most often to her children, let’s make a new commitment—as dads, as men, as grandfathers, as siblings—to read more often to the children in our homes and in our care. 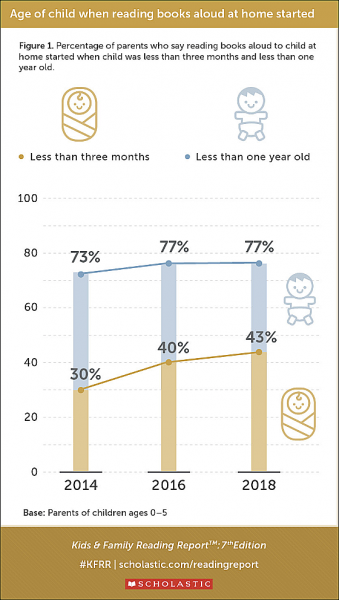 In the study’s discussion, we read, “Overall, 30 percent of parents with children aged 5 and under in the 2014 study reported reading aloud to their child before the age of three months, and 73 percent reported doing so before their child’s first birthday. In a way, the real story of this seventh edition of the Scholastic family reading report is that almost as soon as a family really gets going with one of its best literacy activities, it lets it slide as the children begin reading for themselves. Lower-income families with kids aged 5 and under are also less likely, at 46 percent, compared to about seven in 10, to have received information on the importance of reading aloud from birth when their children were babies. Population Survey from the U.S. Census Bureau. There’s a PDF edition of the key findings of the study available now for download here. 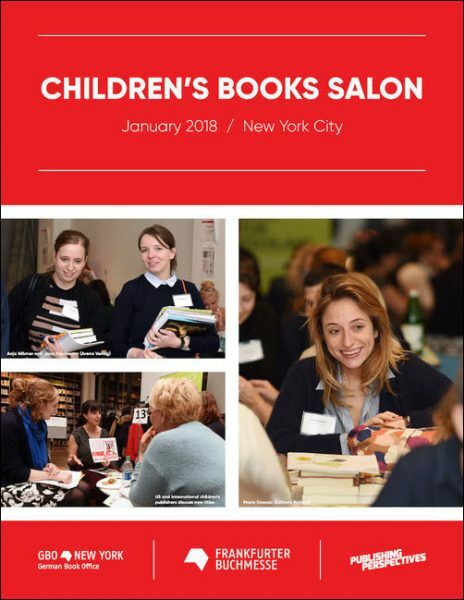 Publishing Perspectives and Frankfurt Book Fair New York will present their second annual Children’s Book Salon for international book editors and publishers to meet with their American counterparts in new-title discovery, rights trading, and networking. More information on the invitational event is here.